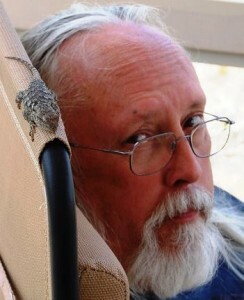 That’s me, relaxing with my friend Larry. We (the wife and I; not Larry) have relocated from our home in Northern Virginia–with its traffic, noise, heat and humidity–to the scenic hills of New Mexico. We spent 2011-2012 getting the dream house built and 2013 settling in. Now it’s time to get busy on the web again. Views is an eclectic blog–because the blogger is an eclectic person. Sure, I could write about only one thing or another and maybe that would make feeds or searches work better–but then what are filters or categories for? I am a writer, a lapsed lawyer, a former government employee, a father of two and a 30+ year (in this lifetime) Bodhisattva of the Earth. 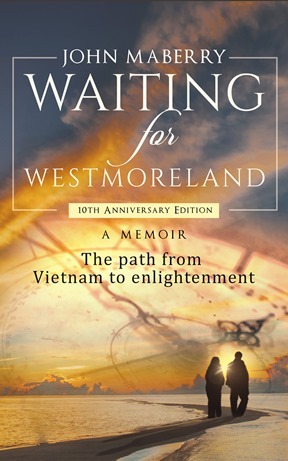 I am the author of Waiting for Westmoreland. I’m also a happy man and a funny guy (strange/weird my wife says). As the descriptor under the title says, Views from Eagle Peak, is about seeing things the way they really are, without the delusions or illusions. Or as it says on the Eagle Peak Press page, we are dedicated to creating value and expanding humanism. One way to do that is by offering a clear view of life and the world in which we all live. That means removing the filters of politics, prejudice and illusion. It means seeing things the way they really are—how they got that way and what to expect tomorrow. Nonetheless, you will find a smattering of humor, financial items, politics, and other posts on a variety of topics. Oh, and frequently references to Buddhist principles and comments that aid in getting those perspectives noted above. Thanks for your comment on my post about no-dig gardening. I’m sure you have enough beautiful country around Eagle Peak to have no need of a garden! Is Eagle Peak anywhere near Eagle Canyon? I just linked up with another blogger with that name!